42.4% of all Academic/Research/Teaching staff have non-UK nationality. International Foundation Programme (IFP) – Offers over 250 international students access to Warwick and other prestigious UK universities. We encourage our students to spend time overseas with a work/voluntary placement, or a study abroad opportunity at one of our 200+ partner institutions in one of 40 countries. 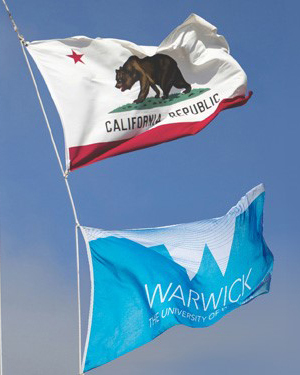 The Alliance between the University of Warwick and Monash University in Australia is a model that is changing the way universities approach their international partnerships. It's about co-development, co-publishing and offering a truly transnational experience, with a focus on addressing the global challenges and opportunites of the 21st century. We are continuing to develop new international partnerships. All of our activities are underpinned by excellence, be it in teaching or research. Our international partnership funds support our staff to foster such international collaborations. Our full-time base in Venice provides opportunities for teaching, research and partnership activity. Our students have a real chance to stand out in the international world of work and research, gain a global perspective and develop the intercultural skills to be a truly positive force in today's global society. Students can take part in initiatives including language cafes, cultural events and study, work or volunteering abroad, while our Go Global Ambassadors help to promote intercultural curiosity and integration on campus. Our students are making a difference through numerous volunteering programmes in the local community and across the world. 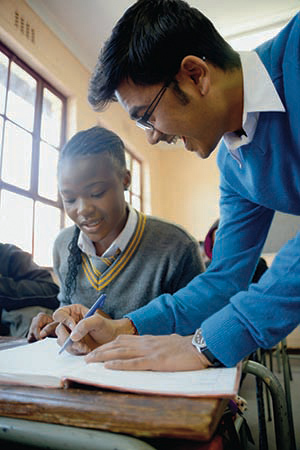 Through our philanthropolically-funded Warwick in Africa and Warwick Laksh programmes, we support maths and English teaching in South Africa, Tanzania, Ghana and New Delhi, India.